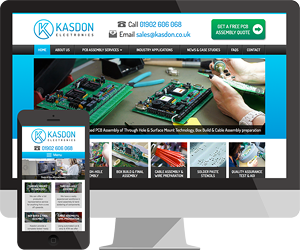 Based in Stourbridge with a wide range of clients in and around the West Midlands, we’ve been designing and building websites for over a decade. 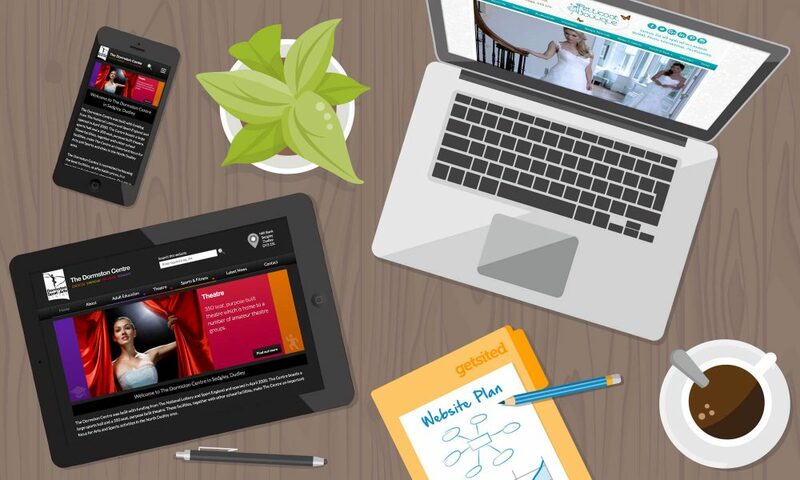 We specialise in easy-to-update, mobile-friendly websites all built in-house by ourselves which means we can tailor each one exactly to your needs, creating your ideal website. A website is the biggest advert you can have so make it a good one! I don’t know where to start, can you help me? Yes, we can take care of every aspect of your website project so you won’t need to use multiple companies. From choosing a website name, through designing and building it, to hosting it on the internet and getting it found. Or if you’ve already bought a domain or have an existing website we can help with that too. To see a full list of what we can offer please visit our Services page. We can work with any type of company, from individuals starting out in a new business venture, to schools and larger organisations. The type of business doesn’t affect how/ if we can create you a website. Every project is individual. What is ‘responsive web design’ and do you do it? Yes, our websites use mobile-friendly responsive design. It is important in this day and age that websites work on a range of mobile devices such as smartphones and tablets eg. iPhones, iPads and Android devices. A ‘responsive’ web design means the website will automatically resize and adapt to the device it’s being viewed on, and still look good. Google ranks mobile-friendly websites higher in searches made from mobile devices so it’s an important factor in your website’s search engine optimisation. Can I update my website myself once the project is complete? Yes, you can easily update your website with a Content Managed System. Keeping your website’s content fresh and up to date is essential to its ongoing success. With a Content Management System (CMS) you can log on whenever and wherever you want from anywhere with Internet access, and update your website. There’s no need for any knowledge of HTML or anything technical; if you can use a basic word processor you’ll be able to use our CMS. Just type into the box, click save, and it automatically styles up your content to match the rest of the design so you don’t need to worry about any design elements. No training is necessary but we will go through it all with you so you feel happy using it, and you can relax with peace of mind that we provide ongoing support if you have any questions. I’m rubbish with technology! Will I be able to maintain the website once it’s finished? Yes, the CMS admin area has been designed to be easy to use, and we will go through how to use it with you. We explain everything clearly so you’re not confused with internet language. Or if you prefer we can do the updates for you. 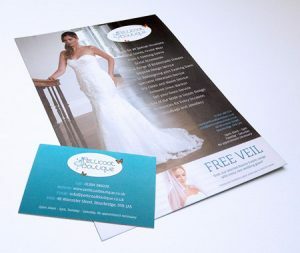 We offer a full design and print graphic design service, please see our Print Design page for more information, or our Portfolio for examples. You have no existing website at all! Each project is individually priced after discussing it with you. Our meetings are free and no-obligation, so please get in touch for a chat. Yes, please see our Portfolio page, where you can filter projects by web or print designs. Do you have any independent reviews I can look at? Yes, we are featured on the Which Web Design Company website where clients have rated us independently, or you can view the testimonials on our Reviews page. OK I’m interested in finding out more! Please contact us via the button below, we look forward to hearing from you!